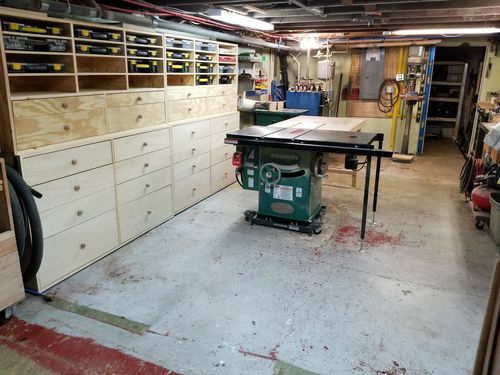 For a base cabinet for the shop that has 24 inch wide drawers what kind of drawer pulls have you found work well. 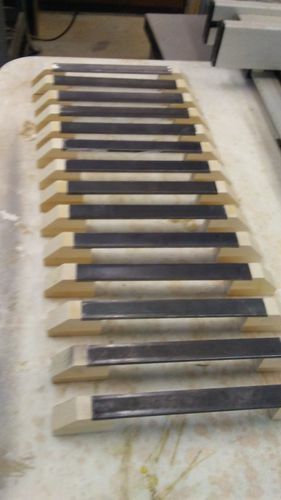 I have generally used drop down pulls to avoid catching cords and such but with a tablesaw mounted to the top I am sure these would rattle and make all kinds of noise. A cabinet I hold hardware in that is 28 inches wide has 6 inch pulls I made in such a way they do not catch cords. These seem to work well and allow a good grip to pull open the drawer despite the weight. And of course I have a couple with finger pulls. These work okay but are harder to find above 7 inches. 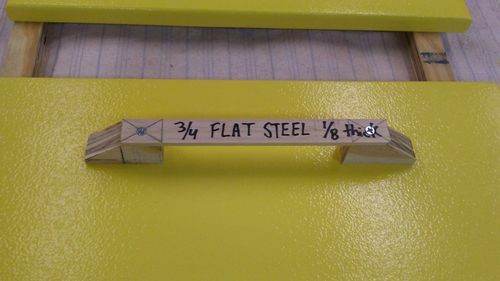 Currently I have planned on 8 inch handles that have 1 inch clearance between a flat metal handle and the drawer front supported by a block on each side. 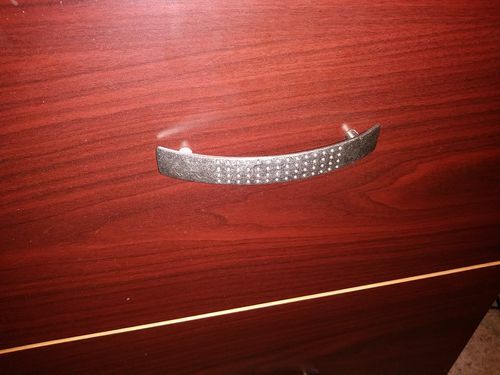 1/8 inch thick steel 3/4 inch wide. In looking over this part of my plan I began to wonder if I had overlooked something better. Good idea and these do work well, we have several inside the house even turned a few. With the pins in my wrist and arm I tend to not be able to get my fingers around them as well as I would like. If I can get my hand into it I have much easier time. And yes, I should have written that in my write up to begin with.. Oops. so she gave them to me. I’ve been using them for shop odds and ends cabinets. I still have some extras if you need/like them? There 5” long and protrude 1” at the center. If you have a bandsaw and a router you could make handle type pulls? but it is a time and materials thing. True, and I have 14 to make. Which is an improvement, usually I land up with 30 or so to do. So having tried a couple of methods this is what I came up with as a template. Inside between the two ends is 5 inches of open space, one inch from the drawer front. Now you’ll be able to do as many as you have material for. And you will get faster making them. Took about 1 1/2 hours to get all 14 manufactured. Including cutting up the steel bars. Used jigs for everything to include a jig to use tomorrow to drill the holes on each end so all are exactly where they need to be. Called it a night but very pleased with this evenings work.